The UT Classic Pack provides the answer. 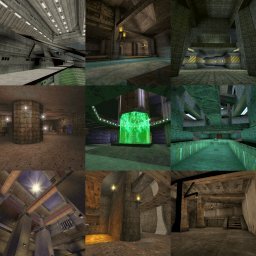 The 25 maps herein include minimal ports of all deathmatch maps from Unreal, the Fusion Map Pack, Return to Na Pali, and the Unreal 3dfx Demo. Each has music, a browser shot, a recommended player count, and is prefixed DMU- so that the maps appear grouped together at the end of the UT map browser rather than interleaved with the UT ones. All items are replaced manually, so that they are fully mod-compatible. Neat. Okay everyone - here's the ultimate in pointless conversion packs! The pack was an idea I had four years ago. It was released in 2000, but in recent years I haven't had suitable web hosting for it. The pack has NOT been posted here so that I can receive your showers of adulation for my originality and creativity in a$sembling it (heh! damn censor) - my role was simply in making these maps 100% technically sound to run under UT. I know that the pack is not entirely unwelcome, since a number of people have asked me in the time since this pack became unavailable if I could make it available once again... I finally thought I'd do so, with a suitable disclaimer. 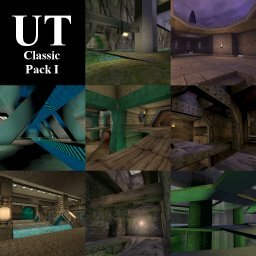 Check out also Lightning Hunter's "UT Classic Map Pack ][", also on Nali City, which features a selection of the best CUSTOM maps from Unreal (but with much improved bot pathing as a bonus). Blah.... DM-Ariza, Elsinore, Tundra, HealPod, they don't play good in UT DM. As for the Fusion maps, I don't like them, especially Twilight (corridor - room - corridor layout). Overall, a great value mappack. I for one, like it. I never really got in to the dm side of unreal so alot of the maps arn't familiar. But i'll rate it slightly less than half due to all the work involved. Had to download this one because i enjoyed the other Unreal Classic pack. 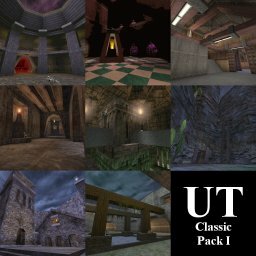 I'm not feeling some of these, like Ariza and some of those temple style maps, but it is cool to see some old-school versions of some of the most popular UT maps, like Deck 16, curse, cybrosis, and Morbias (which i like, except there's a rocket launcher where the redeemer should, or should i say, would be). I also dig Athena and Twilight, which nicely uses the SkyCity textures.